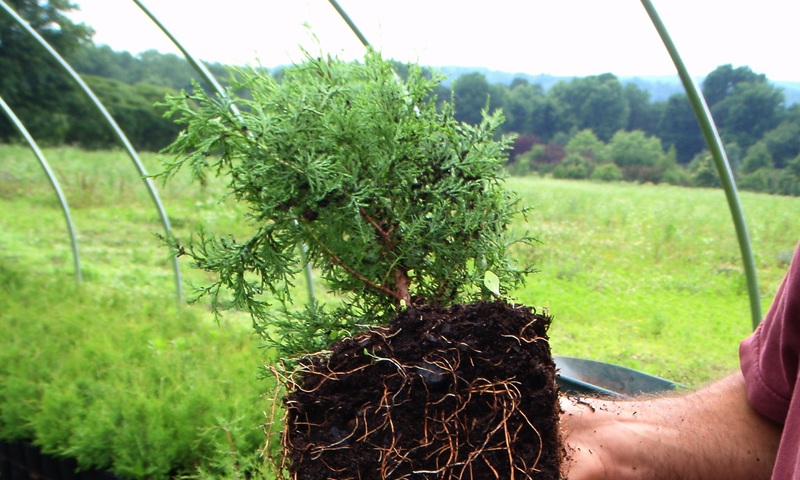 This project involved reclamation of 40 acres of cranberry bog by recreating pre-agriculture hydrology and restoring the area to native Atlantic white cedar and sphagnum dominated swamp; restoration of over 8,000 feet of stream channel; removal of a 15-ft high stone dam; installation and fencing for 17,000 Atlantic white cedar trees; and installation of 1,000 pieces of large wood in the stream for fish habitat. Inter-Fluve received a Coastal America Award presented to the project designers and partners by the Assistant Secretary of the Interior. 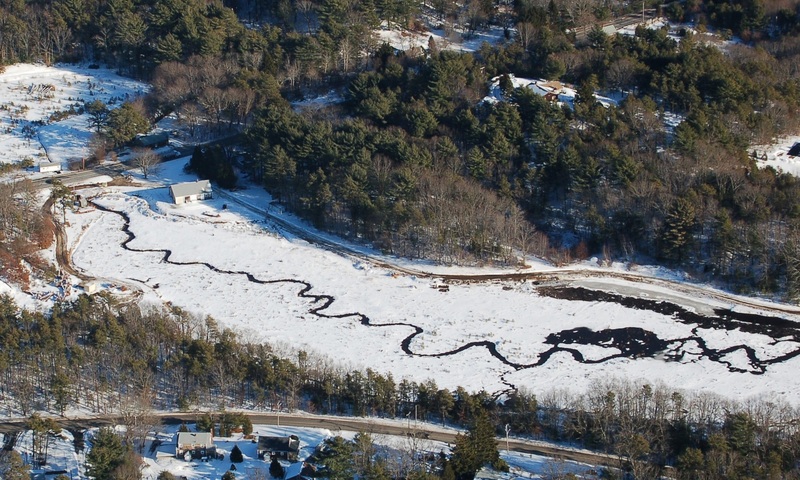 Aerial view of the Eel River project. 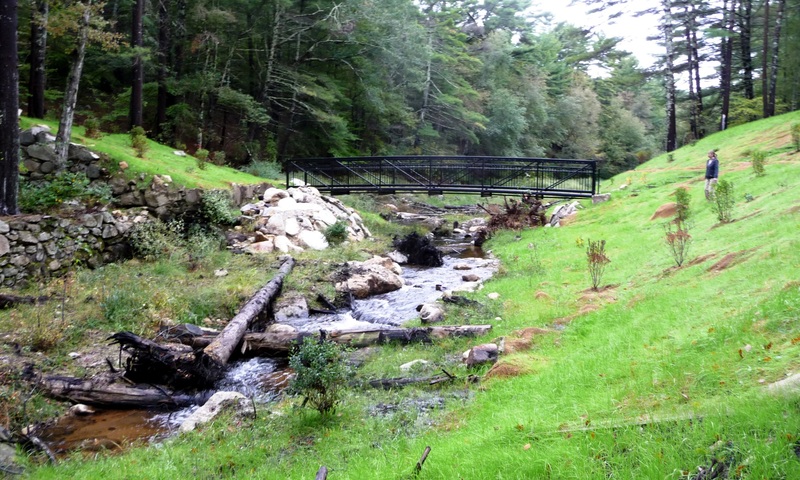 8,000 feet of new trout stream channel was constructed. 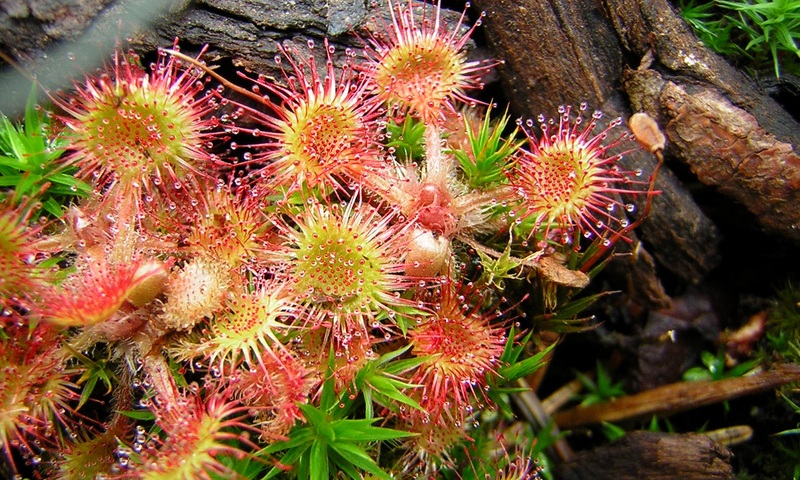 Following construction, hundreds of Drosera rotundifolia – a carnivorous species of sundew often found in bogs – sprouted throughout the project area. 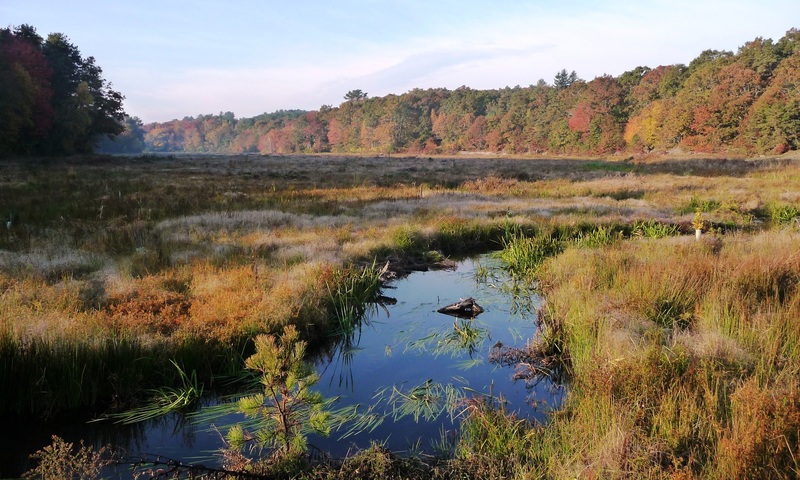 Both the Eel River and Tidmarsh Farms projects focused on transforming cranberry bogs to native Atlantic white cedar swamps. 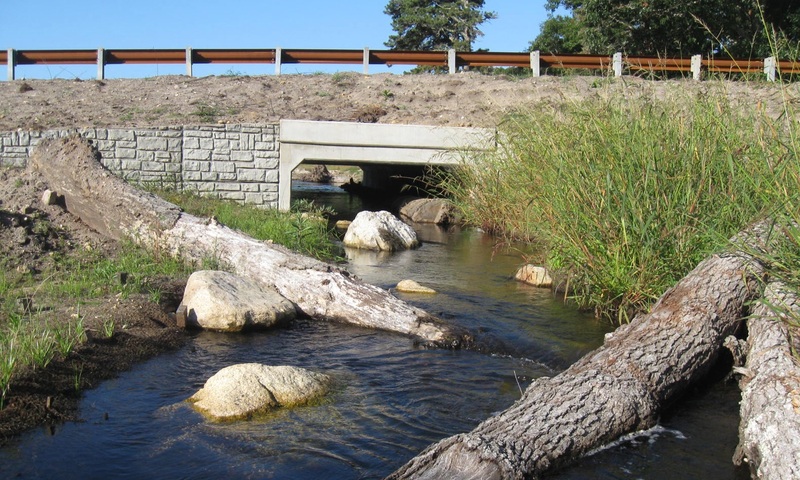 We replaced older culverts with wider ones to encourage fish, turtle, and mammal passage. Built in the 1800s, the Sawmill Dam on Eel River powered a now-defunct sawmill. 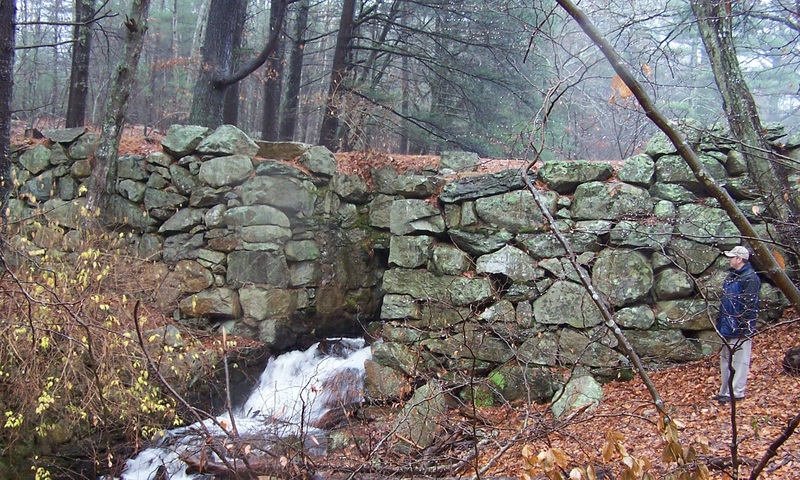 Moments after Sawmill Dam was removed, brook trout could be seen pushing upstream. 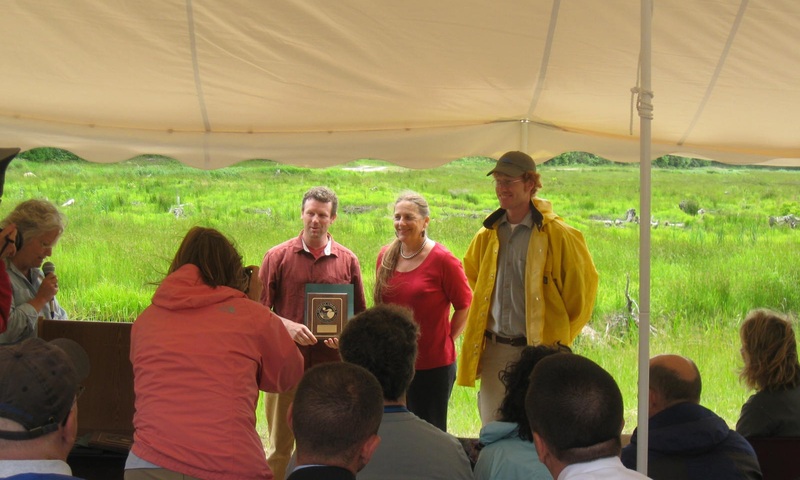 Project partners, including Inter-Fluve’s Nick Nelson and Marty Melchior, received the National Coastal America Partnership Award from Deputy Assistant Secretary Eileen Sobeck of the U.S. Department of the Interior in 2011.